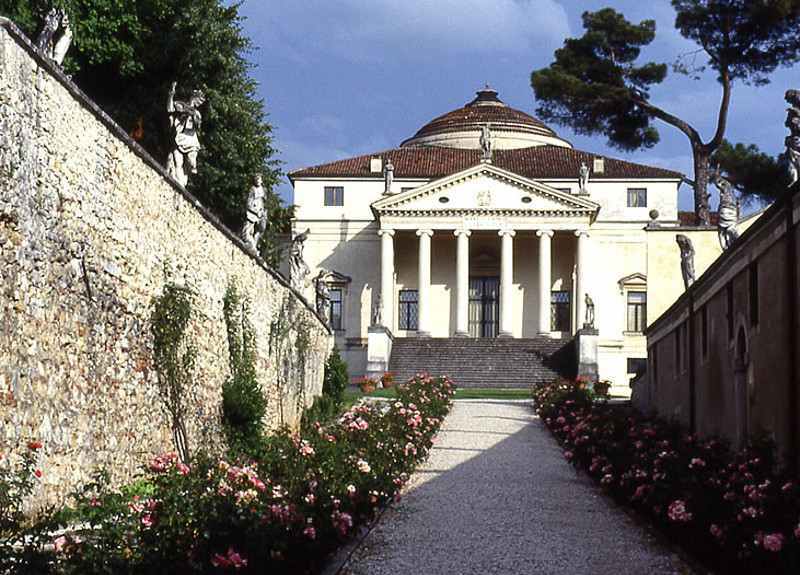 In his own treatise Palladio included this villa among the town buildings "for proximity" to the town. The architect describes the surrounding environement with these words: "the place is one of the most pleasant and delightful that can be found, because it is washed by the navigable river Bacchiglione, on one side, and surrounded, on the other side, by beautiful hills, so that it looks like a very great Theatre". The building started between 1566 and 1568 and the rough works probably ended in 1571. After the death of the customer, the canon Paolo Almerico, the construction was resumed by Mario and Olderico Capra in 1591. The Capra family ended the works of decoration approximately in 1620. Four identical facades with ionic pronaos of six columns are reproduced at each side of the villa. 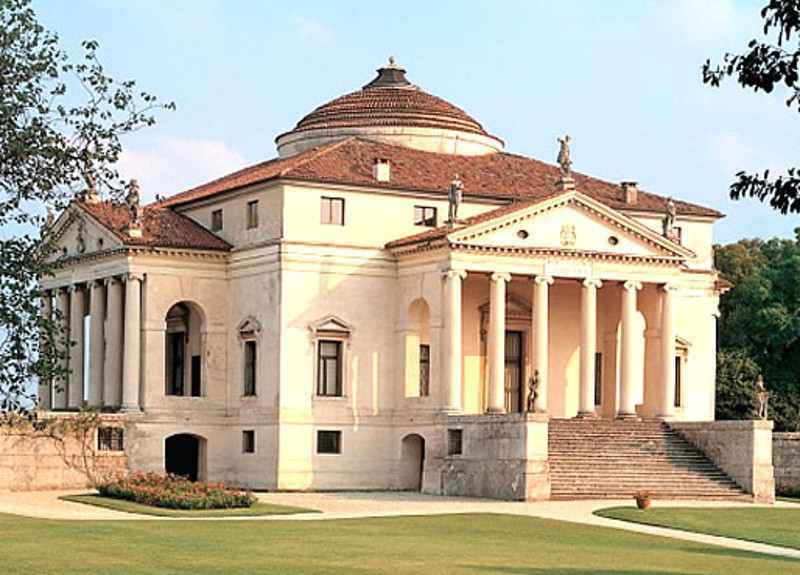 Palladio's design considered the roofing of the central hall with a semispherical dome; but, as the works were taken up by Vincenzo Scamozzi, he transformed the original idea into a different structure. Inside, the ceiling is decorated with frescos by Alessandro Maganza, whereas some Greek gods painted by Louis Dorigny in the eighteenth century appear on the side walls. 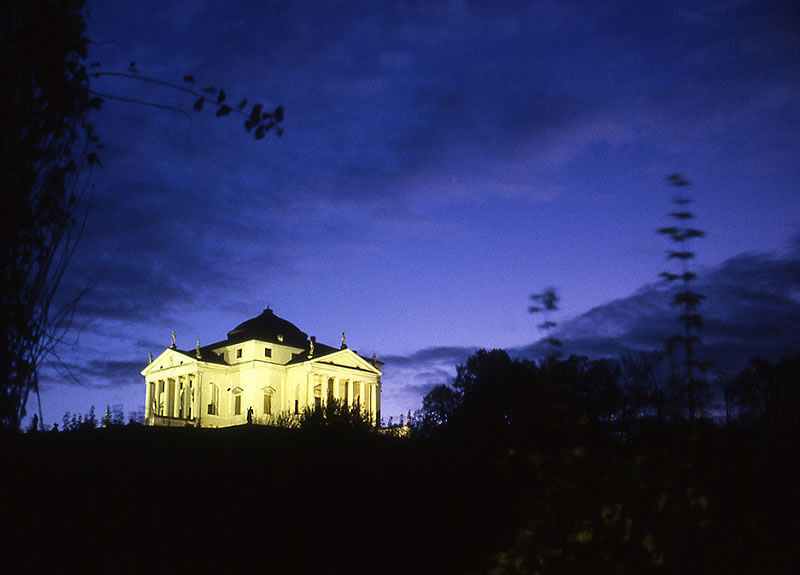 The villa was completed with the sidehouse design by Vincenzo Scamozzi and with the family chapel erected by Girolamo Albanese for the earl Marzio Capra between 1645 and 1663. 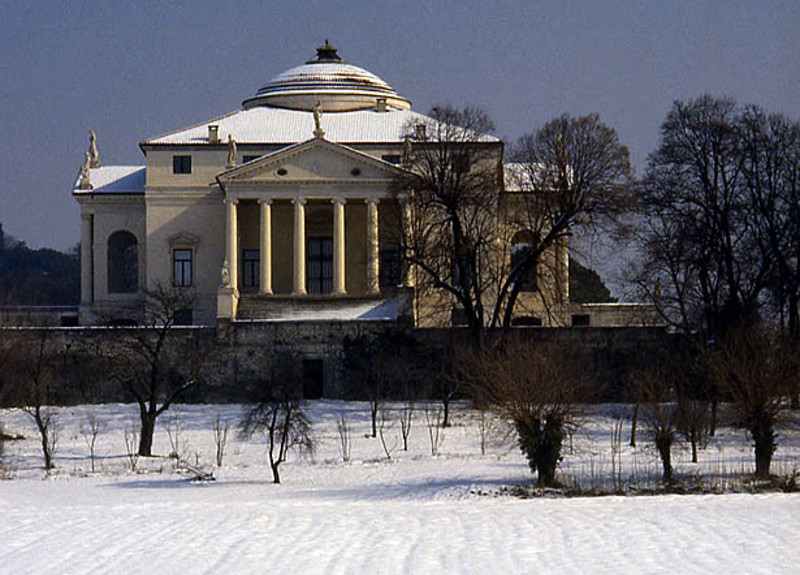 In december 1994 this villa was included in the World Heritage List of Unesco.